Paying real taxes can be hard enough. Now, in a growing financial fraud, more Americans are turning over their hard-earned savings to con artists who pretend to be from the Internal Revenue Service. This crime has become the most widespread scam targeting seniors, according to the Senate Aging Committee. In one version of this fraud, crooks tell intended victims they owe back taxes and penalties. They then threaten them with severe measures, such as arrest and home foreclosure, unless they pay up and follow instructions. In a related scheme, criminals pretending to be from the IRS tell victims they need personal information in order to process their tax refund. They then use the personal data to commit identity theft. Almost 2.5 million Americans of all ages have been targeted by the IRS impersonators in recent years. The fraud has cost more than 14,700 victims almost $73 million. More broadly, elder fraud crimes cost their victims $2.9 billion a year. 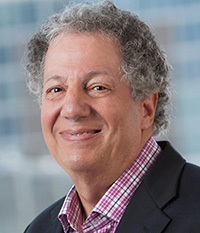 You can find more details on the phony tax man and other elder fraud schemes in the Senate Aging Committee’s 2019 Fraud Book. Sadly, crooks who pretend to be from the IRS are not the only tax scammers to watch out for during the 2019 tax season. The IRS is now warning about unethical, “ghost tax preparers” who do sleazy work, grab your refund—and then vanish. Ghost preparers are known for misleading consumers and often putting false data on tax returns, such as fake income to boost the refund. They then leave customers alone to face a reckoning with the IRS. But you can protect yourself. Make sure your tax preparer signs your return (as required by law) and includes a valid, 2019 Preparer Tax Identification Number, known as a PTIN. Ghost preparers skip this step and tell their customers to mail in the tax return themselves. They may direct funds to their own bank account, rather than yours. Also, they may ask you to pay in cash and fail to provide a receipt. 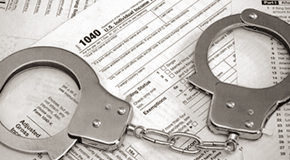 Your self-defense begins by making sure to choose an ethical tax professional. You can find guidance on this important choice at www.irs.gov/tax-professionals. Q. When does it make sense for people to put a freeze on their credit? A. A credit freeze means that new creditors will have no access to your credit report. That prevents an identity thief from opening a new credit account under your name. Freezing credit is a good idea if you think you’re a victim of–or at risk for–identity theft. And with all the data breaches, millions of people are at risk. Freezing your credit is one of the steps you can take to help protect yourself, like getting a fraud alert added to your credit report. But freezing credit is not a cure-all. There are all kinds of crimes that go unnoticed by the credit reporting agencies. A criminal could withdraw funds from your financial accounts or make big, expensive purchases, and none of that will show up on a credit report. Also, people should understand that the freeze protects you from fraud in new accounts, but it doesn’t protect you from fraud in the accounts you already have. To really protect yourself you need to monitor all of your financial accounts, or use a technology service to do it for you. It’s also important to know that when you freeze your credit, you sometimes have to unfreeze it to do certain things, like open up a new account. The credit agencies give you a password, which you can use for a temporary thaw in the freeze. Don’t lose the password. To get a credit freeze, you need to contact each of the three major credit reporting agencies: TransUnion (888-909-8872), Equifax (800-685-1111) and Experian (888-397-3742). Even though data breaches and identity theft are in the news all the time, most people still don’t do all they can to protect themselves. Some 82 percent of adults re-use their passwords, with a majority relying on the same password at least half the time, according to a survey by CreditCards.com. Recycling passwords makes you an easier target for hackers. And if the bad guys get your password for one account, they can then try to break into your other accounts. Safety Tip: Many tools now exist to help you create safe passwords—and remember them. You can learn more about your choices by doing a web search for password managers or password security. One thing is clear: All that bad news about data breaches at Marriott and other big companies has a lot of people worried. In the survey, 46 percent said it would be worse to have their identity stolen than to have their home burglarized. Unfortunately, people who are lonely and in need of personal attention may be more vulnerable. Does that describe any of our parents, others we see frequently—or perhaps ourselves?There is a tragic, elder-fraud angle to this kind of crime, with about half or even more of the victims being over age 50 by some counts. In 2017, the FBI received more than 15,000 complaints about romance and similar “confidence” scams, costing victims more than $211 million.Valentine’s Day may be over for 2019, but the danger of romance scams continues 365 days a year. Typically, the problem begins after the victim posts their profile on a dating site or connects with a stranger through social media. An online predator then emerges, posing as a sympathetic figure who begins to lull the target into a false sense of trust. At some point after the bond has formed, the hustler asks for money. The reasons are carefully chosen to manipulate the victim, such as that cash is needed to pay for a health emergency or to visit the lonely person. Fraudsters may also win sympathy by pretending they are U.S. soldiers serving overseas. Your Social Security number is a key that can unlock your identity, leading to theft of your most valued assets—and identity thieves know it. Scams to get your number are growing like wildfire. In one type of fraud, schemers call up their intended victims, whose telephones then (falsely) display the national phone number of the Social Security Administration. Phone callers are also telling targets that their Social Security accounts have been frozen, because they were used in a crime involving drugs or illegal shipments of money. The crooks then try to hoodwink victims into revealing their Social Security numbers and ask for cash to reactivate their accounts. In other cases, schemers have told retirees that their Social Security numbers had been used to apply for credit, and that their bank accounts could be seized, unless they follow instructions on how to pay. 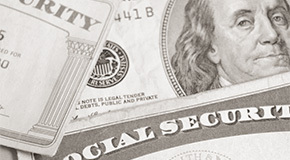 According to the Federal Trade Commission, crimes in which people posed as Social Security employees soared more than tenfold last year—from 3,200 such reports in 2017 to more than 35,000 in 2018, with losses reaching $10 million. Never give out your Social Security number (or other personal financial information, including bank account and credit card numbers) to a stranger who calls you up and asks for it. The Social Security Administration will never call you up and ask for your Social Security number. Social Security officials will never ask you to pay money because they need personal information or threaten to cut off your benefits if you do not comply.